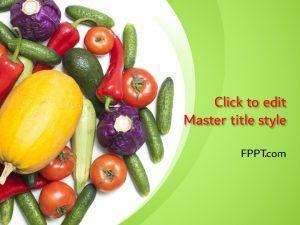 Fresh vegetables are healthy food and everyone loves to have it. 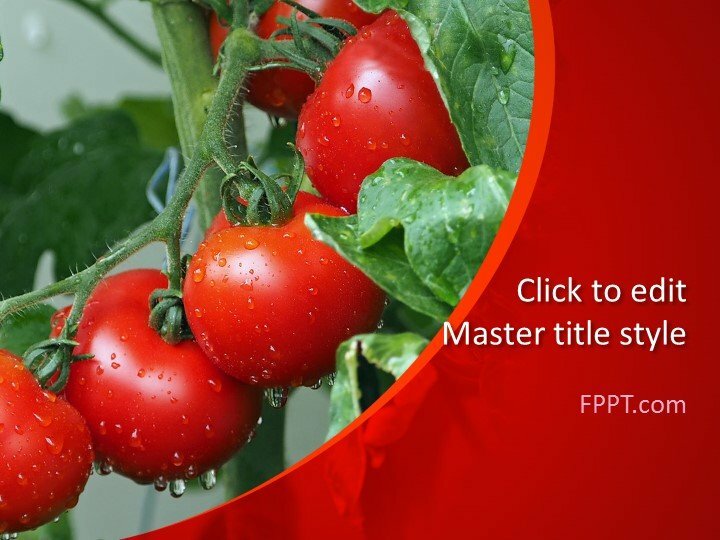 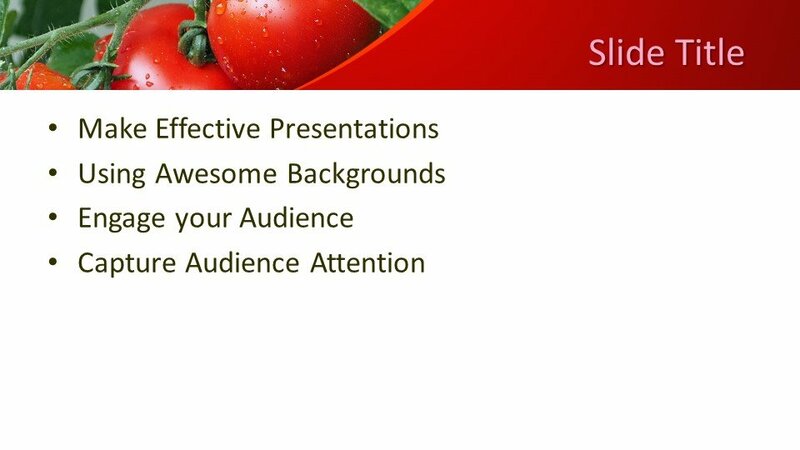 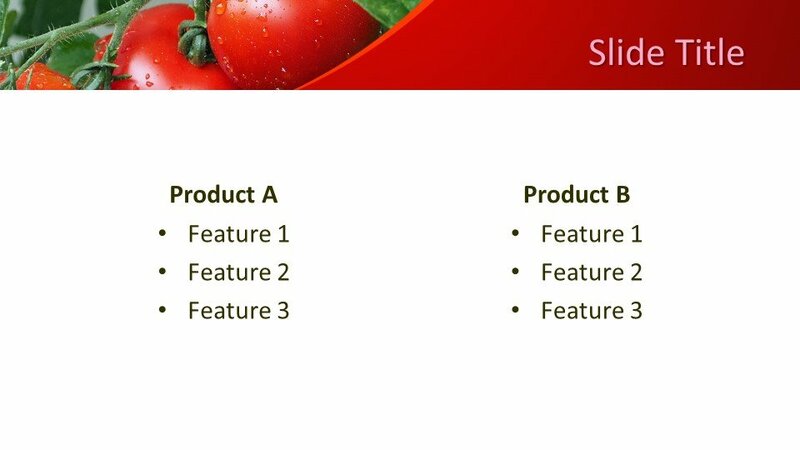 Free Tomatoes PowerPoint Template is a latest and simple background design with the bright red tomatoes for your presentation. 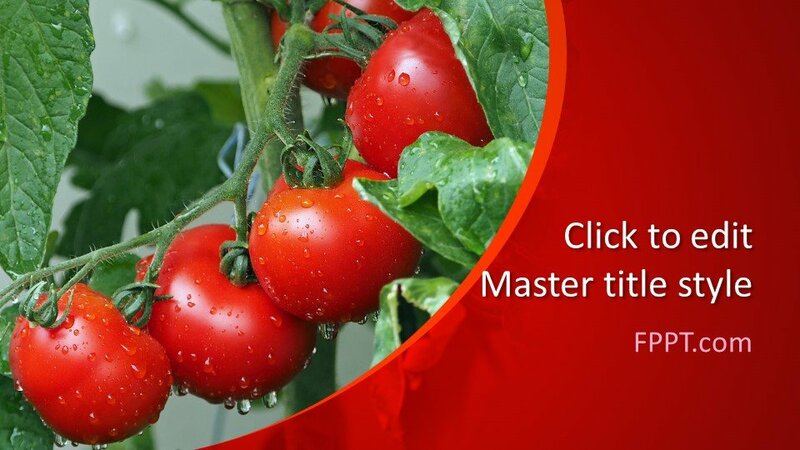 The red ripened tomatoes hanging with the plant are giving a wonderful look to the template. 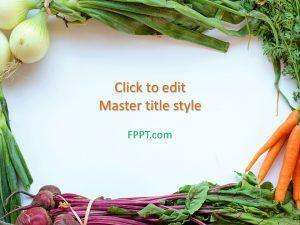 The design is crafted in 16:9 ratio and suitable for presentations relating to the health and fitness, fresh vegetables or other related topics. 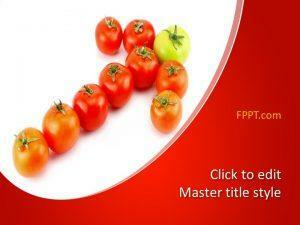 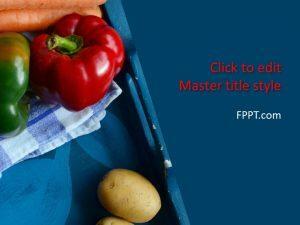 It can also be used in the presentations of vegetable business. 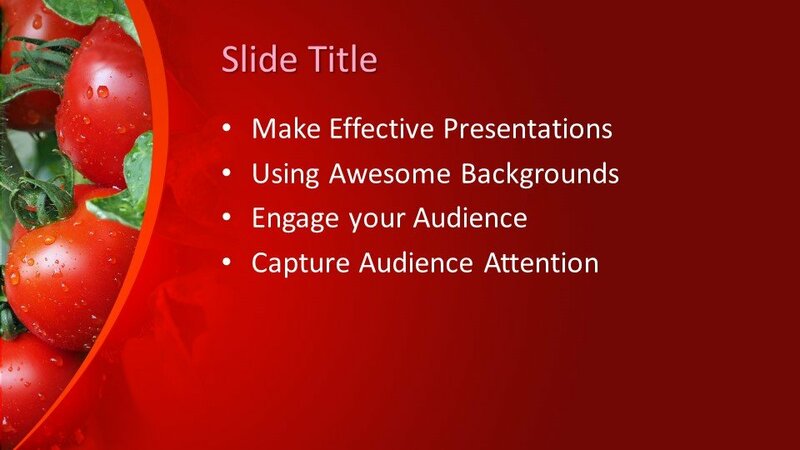 You can download it free of cost and utilize it in the main slide design or in the background of slides. 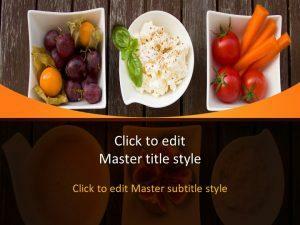 The design is user-friendly and easy to customize with the help of Microsoft PowerPoint. 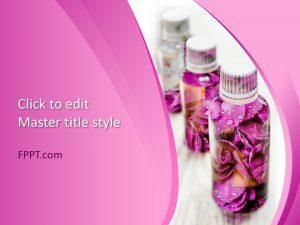 It is made compatible with all latest versions of Microsoft PowerPoint 2010, 2013, 2016 and Office 365.